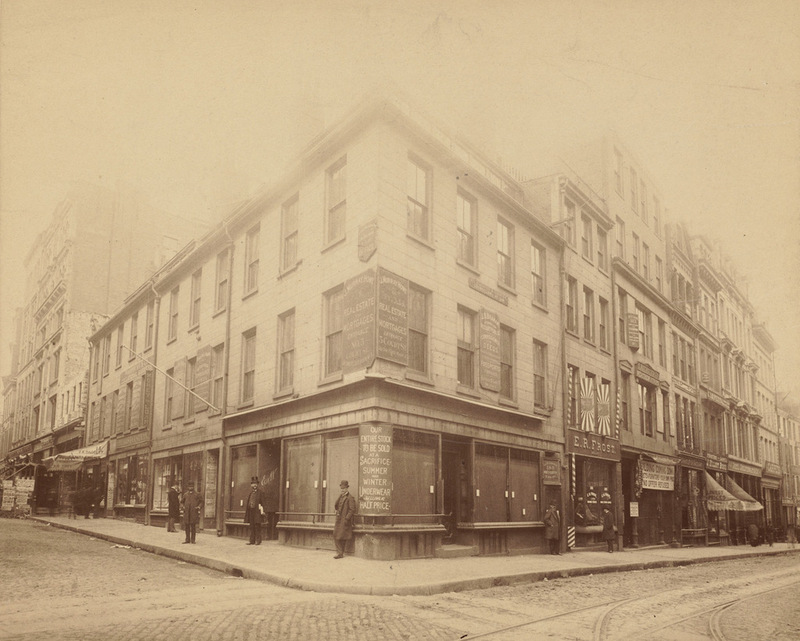 The northwest corner of Washington and Court Streets in downtown Boston in 1891. Image courtesy of the Boston Public Library. 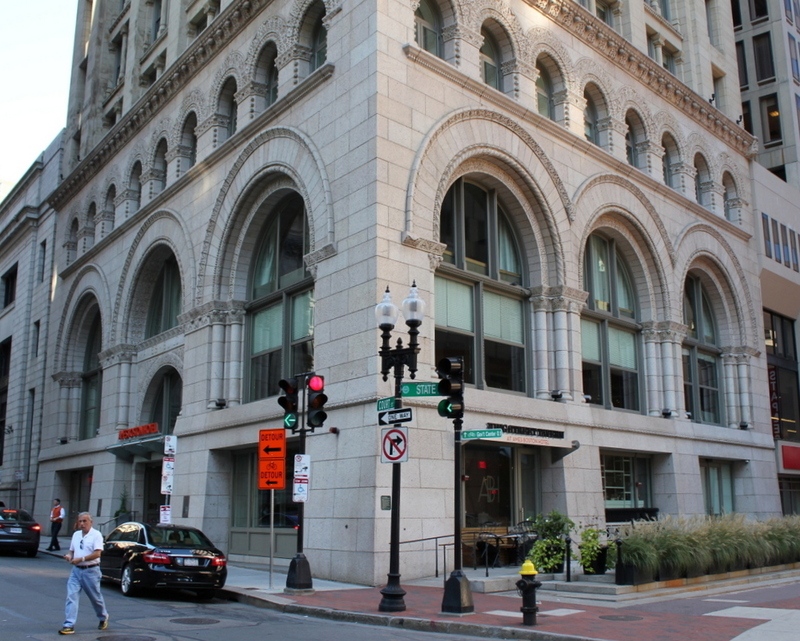 The Ames Building was designed by the Boston architectural firm of Shepley, Rutan & Coolidge, and its design reflects the older Romanesque Revival style, which was popular in the 1870s and 1880s, but had largely fallen out of fashion by the turn of the century. In other ways, though, the building represented a transition between the old and the new. Two major limits to early skyscrapers were stairs and structural support; buildings beyond a certain height were impractical because of the amount of climbing to reach the top and the thickness of the walls that would be necessary to support the weight of the upper floors. To solve the first problem, the 13-story Ames Building included modern elevator technology. However, while the 1880s saw the introduction of skyscrapers with a steel skeleton, the Ames Building was instead built with load-bearing masonry walls, which explains the thickness of the granite base. 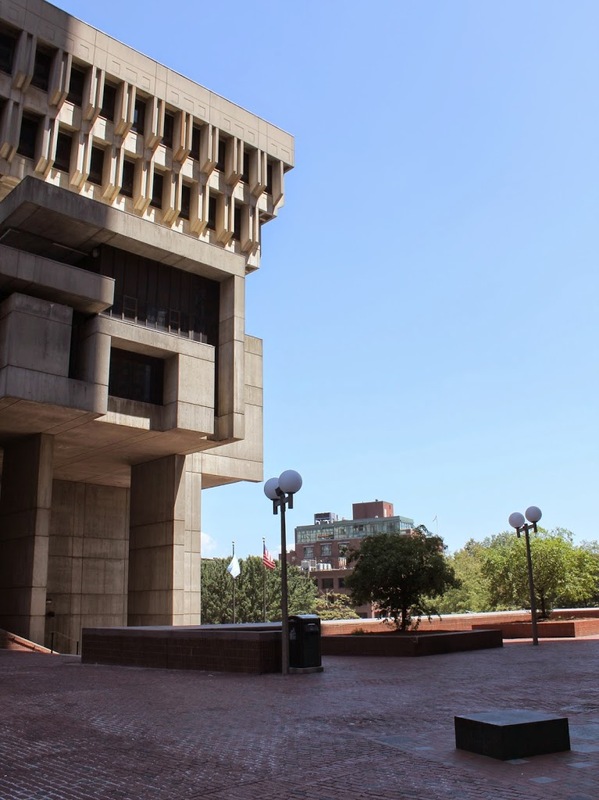 Today, it is listed on the National Register of Historic Places, and it still stands as the second tallest load-bearing masonry building in the world, after Chicago’s Monadnock Building. 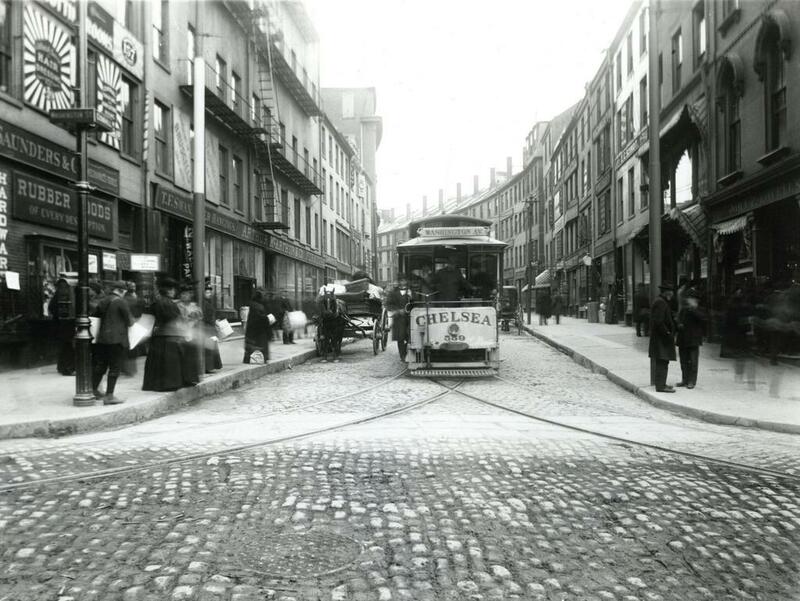 Looking north on Washington Street from School Street in Boston, around 1906. Image courtesy of the Library of Congress, Detroit Publishing Company Collection. In the days before radio, television, and internet, the only major news source for most people was newspapers. At the turn of the 20th century, large cities had many newspapers, which were often published twice daily. However, for timelier updates, newspapers often posted breaking news, election results, and sports scores on bulletin boards outside of their offices. 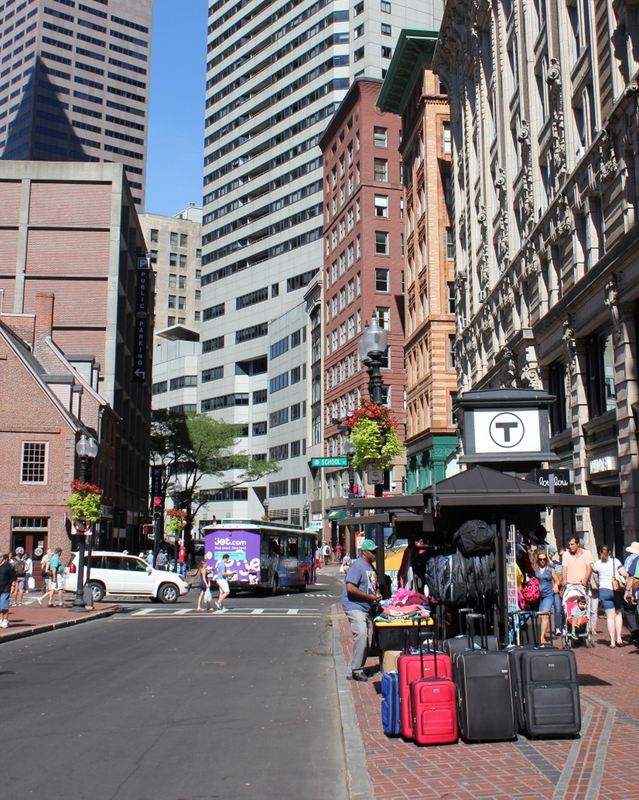 In some cities, such as New York and here in Boston, many newspapers had offices in the same area, known as Newspaper Row. 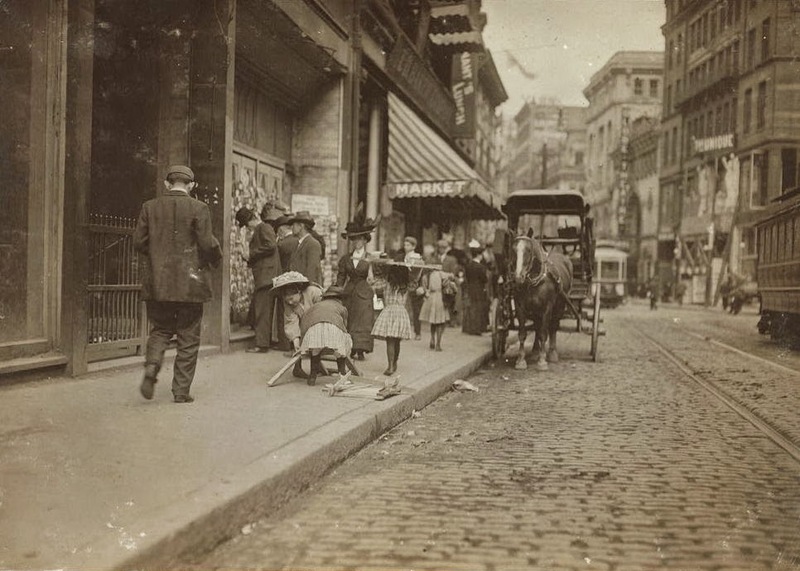 Boston’s Newspaper Row was located along Washington Street, between Milk and State Streets, and at one point included up to 17 newspapers, including several in this scene. 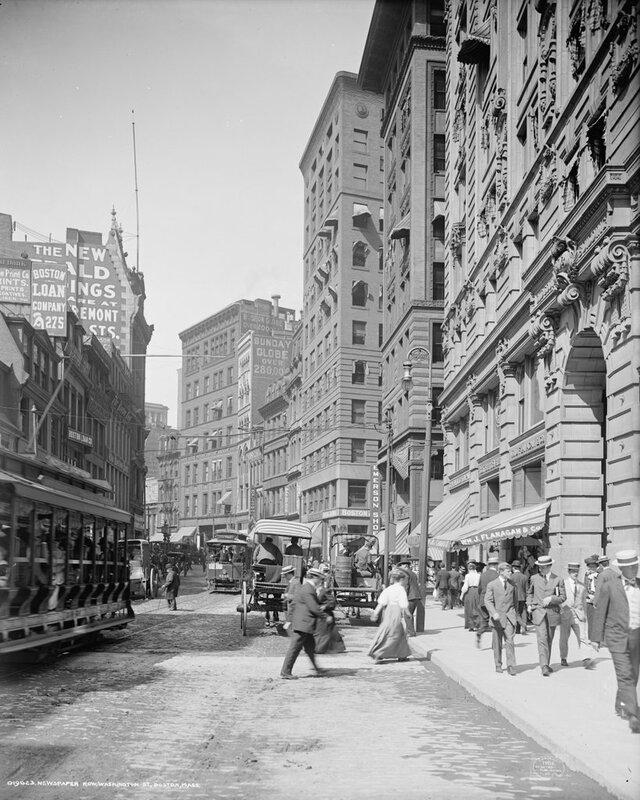 On the far left of the first photo, partially blocked by the trolley car, is the Boston Post, and further down the street, the tall building to the left had been the home of the Boston Herald. As the advertisement on the building indicates, the Herald had recently moved to a new location on Tremont Street. Both the Post and the Herald buildings have since been demolished, and a parking garage now stands there. The Post, which was established in 1831, was a major daily newspaper in New England until it closed in 1956. The Herald, however, is still around today, 170 years after it was first published in 1846. 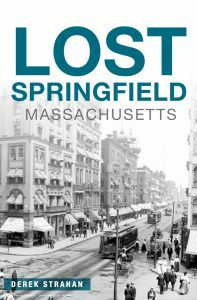 The large building in the distance in the left-center of the first photo was the home of the Boston Globe, the narrow building next to it was the Boston Advertiser, and the tall building in the center of the photo was the Boston Journal. Of these three, the Globe was by far the newest of these newspapers, having been established in 1872. The Advertiser, on the other hand, had been published since 1813 as the first daily newspaper in the city, and the Journal since 1833. However, the Globe ended up outliving both of them, as the Journal merged with the Herald in 1917, and the Advertiser was purchased by William Randolph Hearst the same year and was discontinued in 1929. Both the Globe and the Advertiser buildings here have since been demolished, but the Journal building still stands as the only survivor of the five turn-of-the-century newspaper buildings in this scene. The building opened in 1901, and was the home of the Journal until its merger with the Herald. Since then, it has been used for other professional offices. 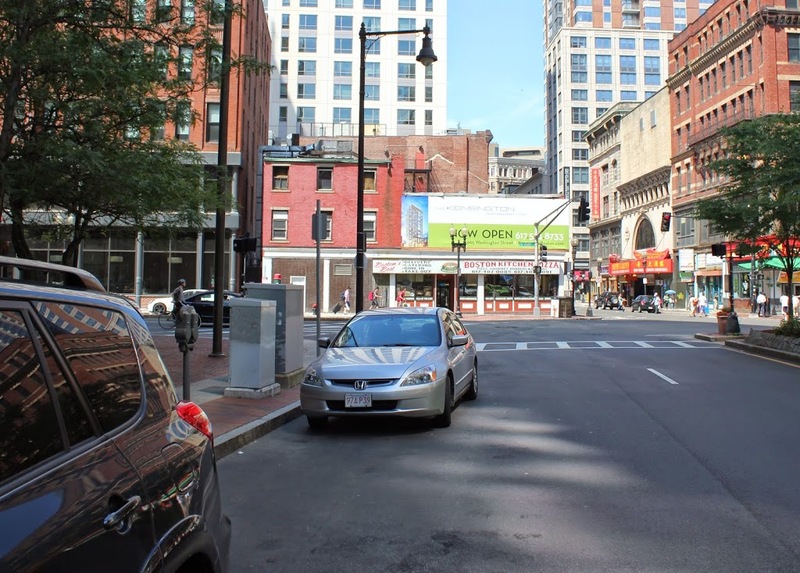 There are no longer any newspaper offices along this section of Washington Street; the Globe left in 1958, and it has been many years since Newspaper Row was the center of news information in the city. It is also much less crowded; the first photo shows the narrow street filled with pedestrians, carriages, and trolleys, but within a few years the Washington Street Tunnel would be completed. This subway tunnel eliminated some of the congestion by taking the trolleys off of the streets, and it formed the precursor to today’s Orange Line, which still runs under this section of Washington Street. Despite the changes over the years, there have been several constants. The Old Corner Bookstore, which is just out of view in the first photo but visible on the far left in the second one, is the oldest of them all. It was built in 1712, and it is still standing as one of the oldest buildings in downtown Boston, and just beyond it is the Andrew Cunningham House, which was built a few years later around 1725. Aside from these two colonial-era buildings, though, there are several other historic buildings in the scene. On the far right is the Old South Building, a large office building that was completed shortly before the first photo was taken. 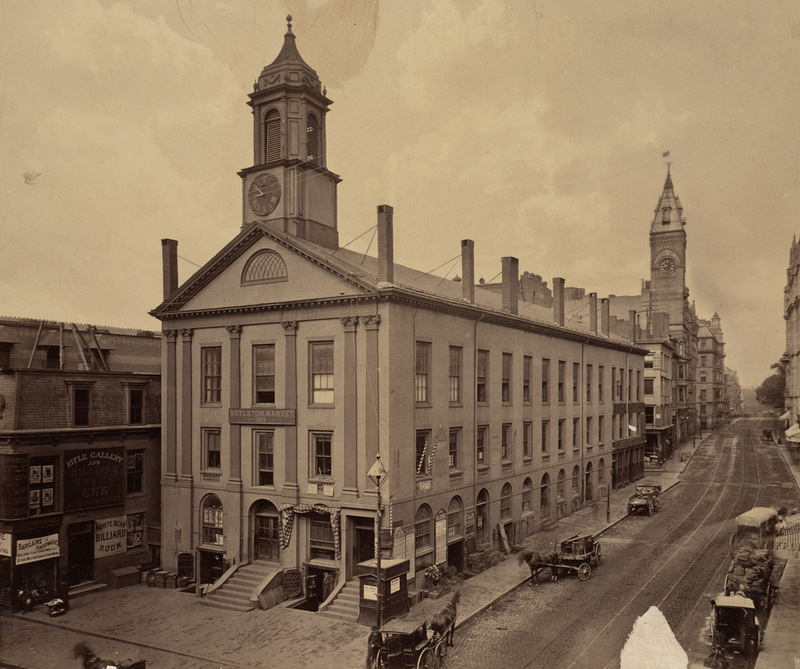 It wraps around the Old South Church between Washington and Milk Streets, and its Milk Street facade can be seen in this post. The other prominent historic building here is the Winthrop Building, located just beyond the Old South Building at the corner of Washington and Water Streets. A view of the long side of this building can be seen in the “now” photo of this post, which shows it from the Water Street side. 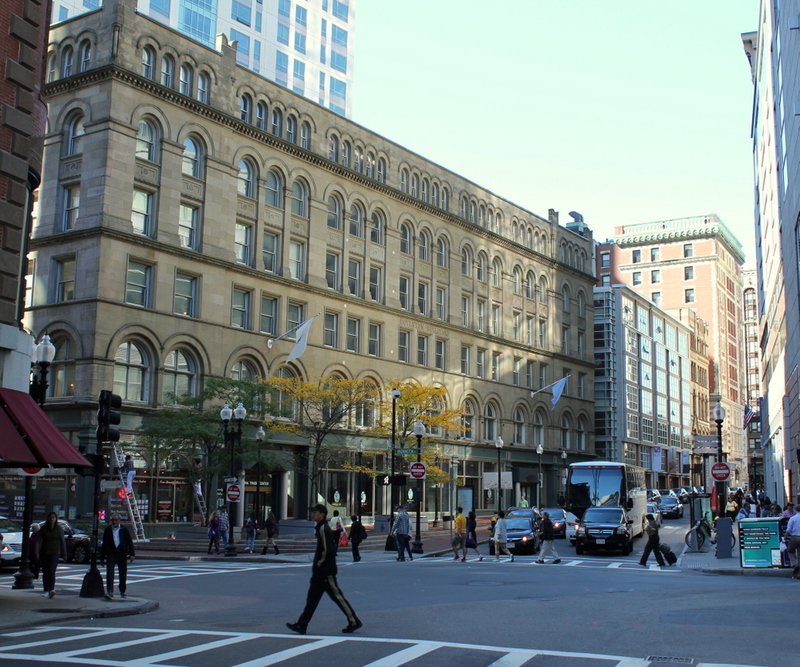 It was built in 1893 on a long, narrow, irregularly-shaped lot, and it was Boston’s first steel frame skyscraper. It is still standing today, and is now on the National Register of Historic Places. 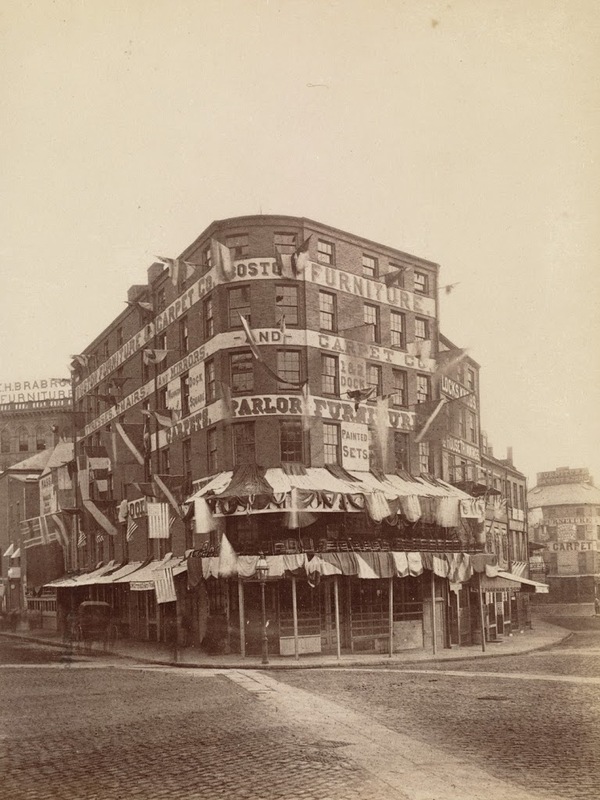 The corner of Washington Street and Dock Square in Boston, on June 17, 1875. 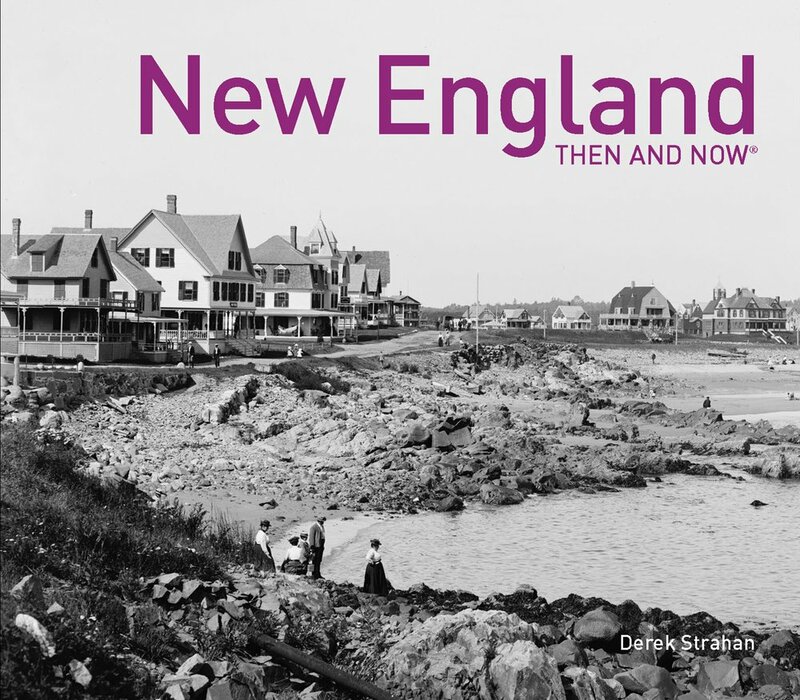 Photo courtesy of Boston Public Library. 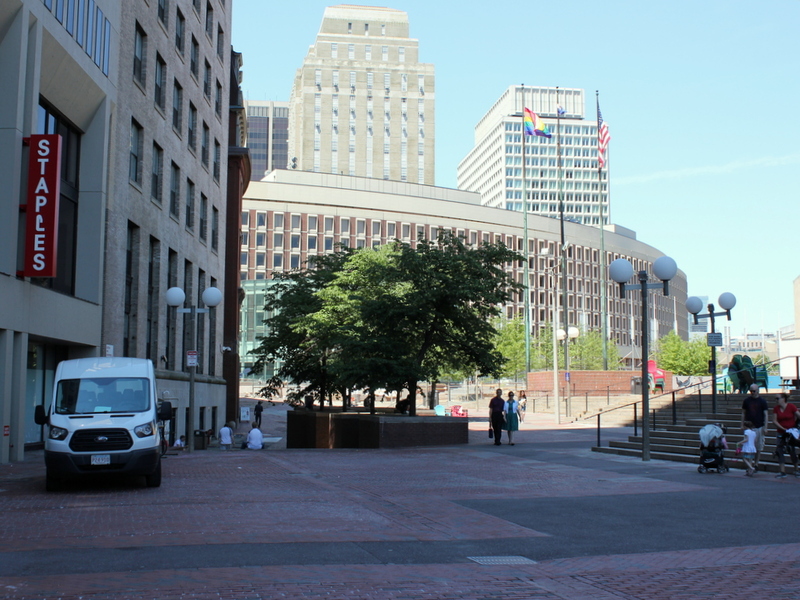 Taken on the same day as the photo in this post, the first photo is taken from a different angle, but shows the Dock Square area as it once looked, long before the urban renewal projects of the 1960s During this time, the neighborhood was replaced with Boston City Hall, which can be seen on the left-hand side of the 2014 photo.